BAHAMAS (WPIX) -- Debris has been found in the search for a MU-2B aircraft that vanished in the Bahamas with four New Yorkers on board, including two children, according to an image released Wednesday by the U.S. Coast Guard as the search entered its second day. Search crews have covered over 8,200 sq. miles over 30 hours in looking for the plane, the agency said. On board were Jennifer Blumin, 40, from New York City, Nathan Ulrich, 52, from Lee, New Hampshire; and Blumin's 3-year-old and 4-year-old sons. Jennifer Blumin attends the 2011 Humane Society of the United States' Chefs for Seals event at the Skylight West on June 28, 2011 in New York City. The wreckage "appears to be airplane debris," said Petty Officer 3rd Class Eric Woodall, spokesman for the U.S. Coast Guard District 7. It was spotted about 15 miles east of Eleuthera, Bahamas, by a helicopter crew. A rescue swimmer retrieved some materials to take ashore for identification. The MU-2B airplane departed Borinquen, Puerto Rico, at about 11 a.m. Monday and became overdue after failing to arrive in Titusville, Florida. Air Traffic Control in Miami reported losing radar and radio contact from an MU-2B about 37 miles east of Eleuthera at 2:10 p.m. Communication was reported lost at 24,000 feet with a speed of 300 knots, the Coast Guard said. The Coast Guard tweeted a photo of the missing plane. Blumin is founder and CEO of Skylight Group, which provides event space around New York City, specializing in the fashion industry, according to local reports. CNN is trying to reach a spokesperson for the company. Skylight Group has designed sets for clients such as Ralph Lauren and Kanye West. Blumin is known for transforming derelict old buildings into "dazzling event spaces," according to the New York Daily News. The company confirmed she and members of her family were on the plane. "Her family is working with investigators and we politely ask that you respect their privacy at this time," said Lt. Cmdr. Ryan Kelley, a Coast Guard spokesman. 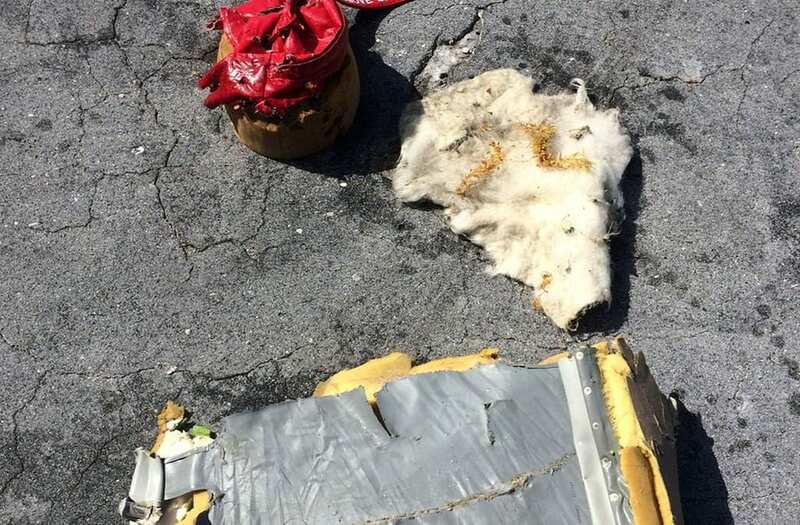 Man's family is "devastated and shocked"
Blumin owned the plane through a consulting company, according to New York State and aviation records. Ulrich's family is "devastated and shocked," his father, Gael Ulrich, said in a statement to CNN. "Nathan is our beloved son, brother and uncle and we wish for resolution as the Coast Guard search continues," he said. Actress Rae Dawn Chong, of "The Color Purple" and "Commando," tweeted that she and Ulrich were previously married. Her tweet said, "My ex-hubby's (Nathan Ulrich) plane is missing over the Bermuda Triangle. I am sad and in shock. So send prayers to his family. Thanks." Ulrich is a co-founder of Xootr, a New York-based company that manufactures scooters and folding bicycles. He is also listed online as a technical director and race car designer for Radon Sport.